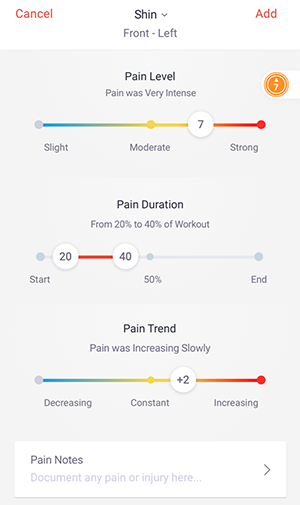 FinalSurge.com introduces the “Pain and Injury Report” an elegantly simple way for athletes and coaches to comprehensively track any pain and injuries that occur during a workout. For years now, Final Surge has been focusing how to make coaches and athletes more successful. Our research showed that workout pain and injury was the elephant in the room no one wanted to talk about. The single biggest reason coaches were losing athletes, and the income associated with them was a workout-related injury. The single biggest reason athletes were failing to meet their fitness and performance goals was again, workout-related injury. Until now, none of the leading coaching and training platforms even tracked workout pain and injury in any rigorous, effective manner. Pain Level _ A sliding scale of 1 to 10 of pain intensity. Pain Duration _ A sliding scale of when the pain started and ended during the workout. 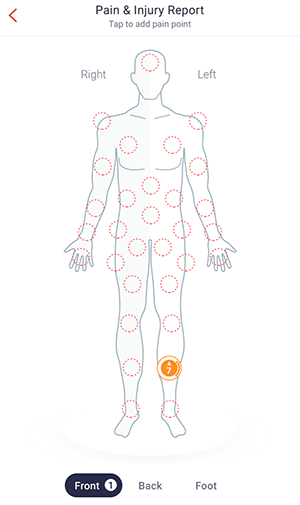 Pain Trend _ A sliding scale of whether the pain was increasing, constant, or decreasing. These entries are represented in one information-packed graphic we call a Pain Reporting Point. 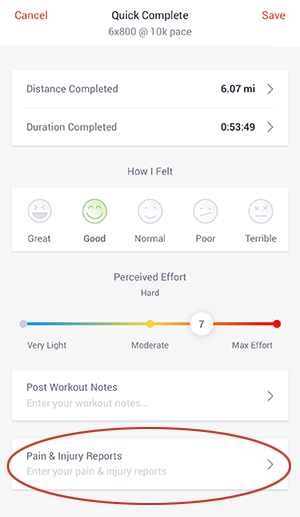 Later, when reviewing the workout, the coach gets a complete picture with just a quick glance at the Pain Reporting Point’s information and its location on the body. Coaches can optionally receive email and push notifications whenever an athlete submits a workout reporting pain or injury. A relatively mild pain starting early in the workout didn’t last long and was decreasing as it resolved, may mean paying more attention to pre-workout warmup and stretching. A more intense pain that begins well into the workout, continues to the end, and is increasing, may mean the beginning of an overuse injury. 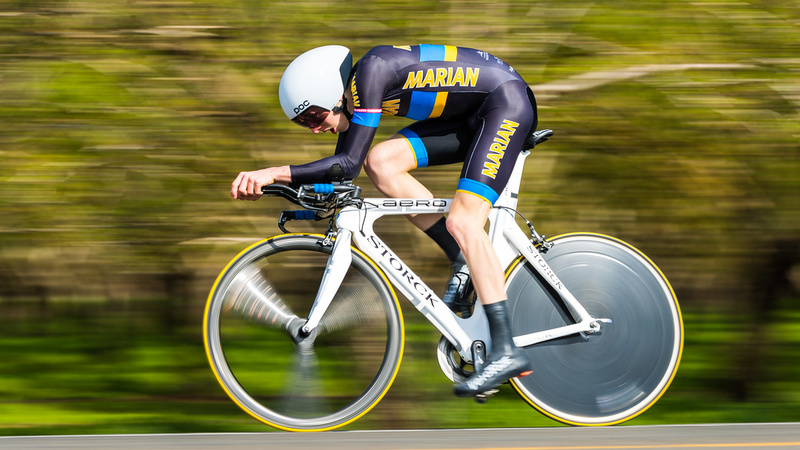 Tracking an athlete’s history of pain and injury can give early warnings of overtraining, inadequate recovery, bad form, undesirable compensations, specific muscle weaknesses, and more. From the app, athletes can go to the Quick Complete screen, the Full Add screen or the Full Edit screen on a workout. At the bottom of this screen you will see the new Pain & Injury Reports section. Simply tap the new section to be taken to the PAIR add and update screens. 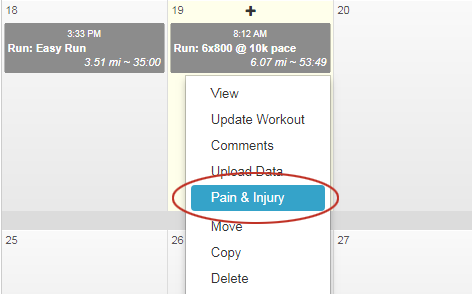 From the full web platform, click on a workout from the calendar and select “Pain & Injury” from the workout menu. The PAIR modal screen will open up and you’ll be able to add your pain points to the workout from here. When a pain point record is added, coaches have the option to get notified via an email update and/or an app push notification. This allows the coach to know instantly that an athlete has had some pain or became injured during a workout, ensuring they can follow-up with the athlete in a timely manner.